The Fire Weather Research Lab engages in many public outreach activities including school visits and lab tours. Please contact us if you or your group are interested in visiting the lab. We have worked with the Bay Area Earth Science Institute to provide 1-day workshops to teachers throughout northern California. The workshops are intended to provide wildfire and fire danger education materials developed by the lab and BAESI for teachers to use in their classrooms. This work is funded by the National Science Foundation. Dr. Neil Lareau demonstrates a RAWS to students at KIPP Summit Academy, San Lorenzo, California. 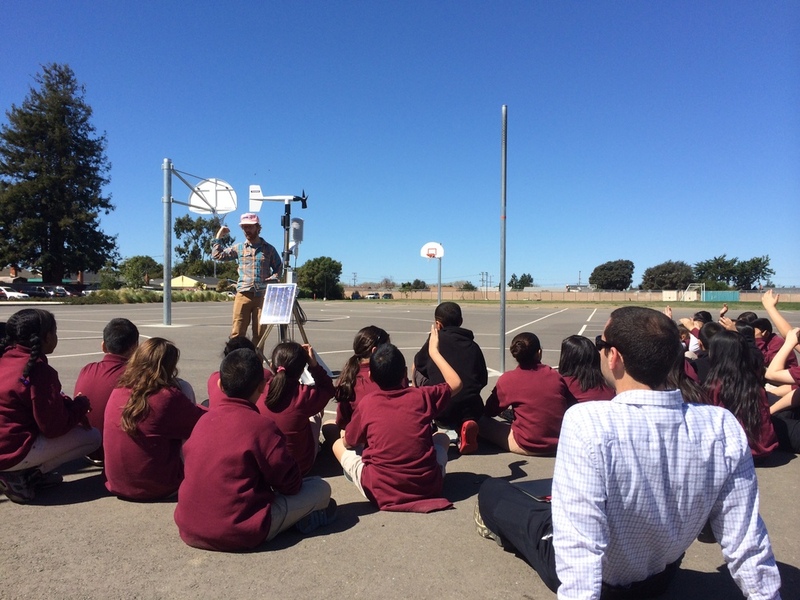 The lab visits schools all over the Bay Area to teach children about California weather and wildfire awareness.